I haven't written a post in a while, and things are crazy with preparation for our K-3 winter concert. 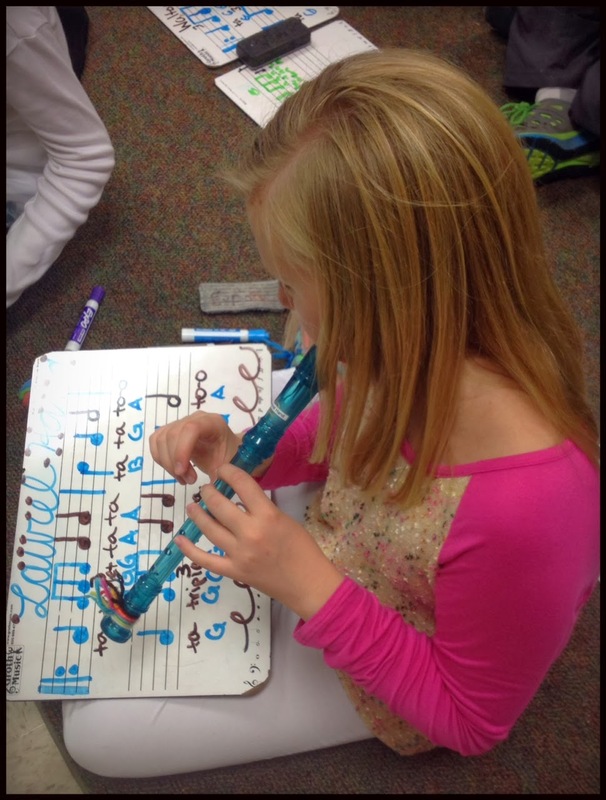 So I thought I would share a quick idea that I have implemented with my students as they notate music on whiteboards. First of all, let me share my new setup for whiteboard supplies. There is a little space right outside my door, and I wanted to have the materials in the hallway for students to gather as they entered the room. I also needed a mobile station, because there are times when older grades meet next door with the other music class. I found this two-shelf cubby at IKEA, which can be put on casters (sold separately). The shelf unit is from the Expedit collection. I can't find the two-shelf model online, but it was in the store in Atlanta. 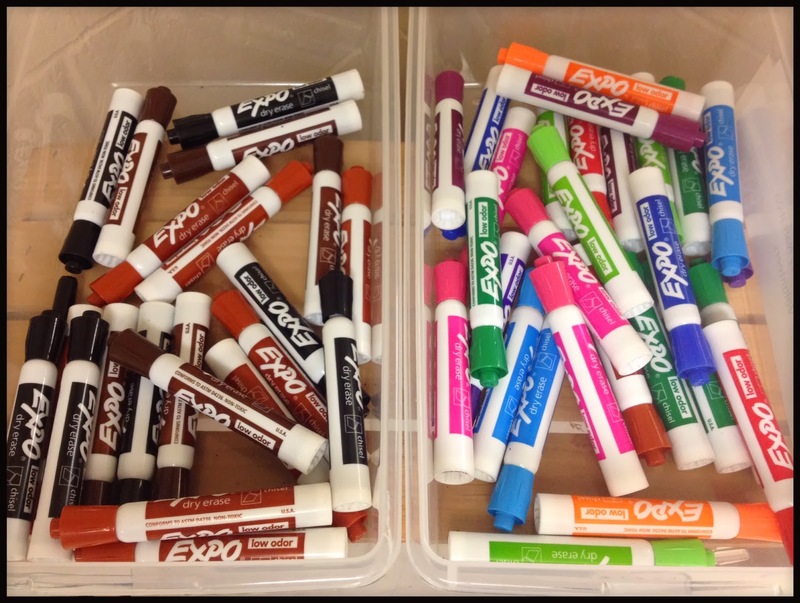 Markers and erasers are kept in clear bins. I typically hold the marker bins a few feet in front of the supply station to help with traffic flow. The eraser bin is placed on top of the wooden crate that holds the boards, so they are close together and easy to pick up quickly. A bin of my classroom set of recorder books sits on the lower shelf. I am loving my new station! It keeps things neat and organized, and the mobility is a plus. Now, back to the tip I promised. Some of my students were struggling with differentiating between line and space notes at the beginning of the year. Also, some students seem to be able to identify B-A-G most of the time, but I found they were unable to transfer music from the board to their whiteboards. I decided to have students use two markers: one colored and one black or brown. They use the colored marker for line notes, and the black or brown for space notes. I believe it helps them focus on the precise location of the pitches, and they seem to have better accuracy. 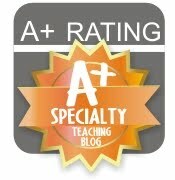 I can also assess how well they are doing very quickly. 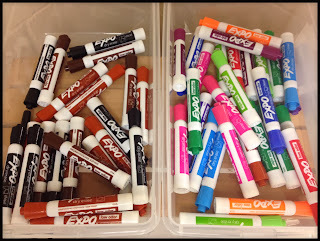 I keep the markers in two separate bins, so they can pick one out of each bucket on their way into the room.